Welcome to Day #14 of South American Chocolate Theme Weeks. We're sampling bars from Ecuador this week. 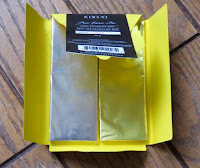 Today's offering was a careful co-packaging of two different 100% cacao bars. 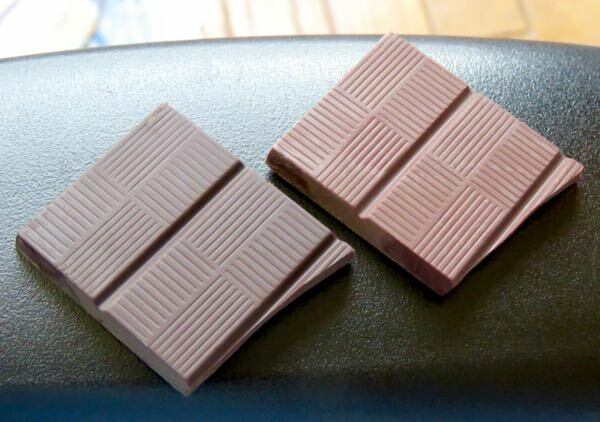 These rare ultra dark bars contained just one ingredient: cocoa beans, and these two were ideal for a side-by-side tasting. Both the 100% Ecuador Bar and the 100% Madagascar Bar were hand-crafted by Sirene Artisan Chocolate Makers (Victoria, Canada). 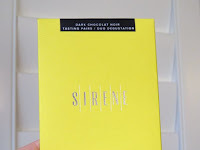 The company makes small batches of direct trade chocolate, from beans grown on a limited group of cacao farms around the globe, in their custom workshop. "In Balao, Ecuador, farmer Vicente Norero treats his cacao beans like fine wine. After carefully nurturing the growth of his indigenous varieties of cacao trees, he harvests the beans and monitors the microbiology of the fermentation process. His exacting control of sugars and acids creates a rich and flavorful bean." 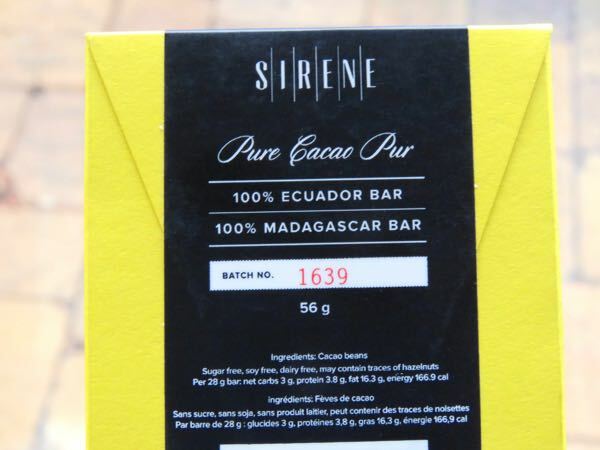 The Ecuador bar was described as having "rich, deep chocolatey" flavor. And, as promised, it was infused with true chocolate, deep cocoa, slightly bitter flavor. It had a very pleasing, homemade hot chocolate aftertaste. The bar possessed a deep ebony dark chocolate color. 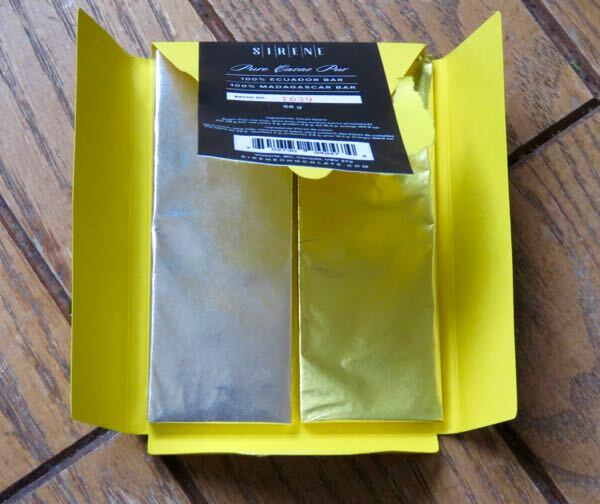 Sirene chose "fruity, citrus, raspberry-toned Madagascar beans" from Somia Plantation for this 100% Madagascar Bar. "In the Sambirano Valley of Northern Madagascar, the Akesson family harvest a light red bean enriched by volcanic minerals and nutrients. 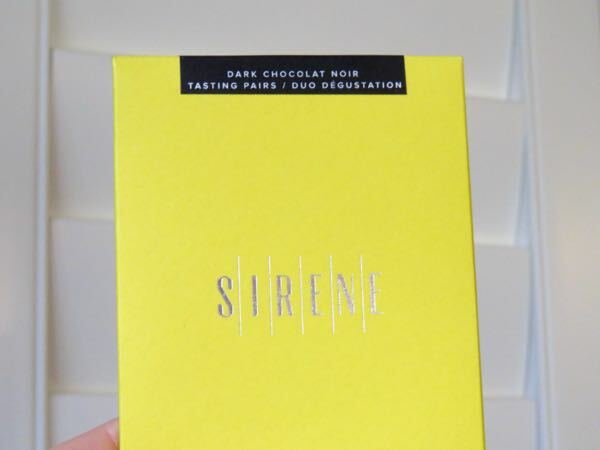 With its strong fruity flavours, including hints of citrus and berry, this cacao is clearly a product of climate and soil and the special way it is fermented by a family who truly cares about chocolate and who has for many years." In contrast to the deep chocolate 100% Ecuador Bar, the 100% Madagascar Bar was full of bright notes: very authentic fruit punch, raspberry lemonade, true citrus (not just generic "acidity"), with a wonderful, warbling complex fruit and cocoa finish. Even the color was a brighter, redder color than the Ecuador bar. What a treat to try these bars, separately and together.